An abstract is a brief summary of a research project, thesis, review, conference proceeding, or any in-depth analysis of a particular subject and is often used to help the reader quickly ascertain the paper's purpose. It is a clear, accurate and concise summary of a research. It is usually written at the end of the research after the rest of the project report has been completed. 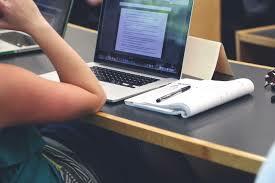 An abstract should be between 100 - 250 words of length and should get the reader interested in the research paper. Knowing how abstracts are structured is the first step towards writing an awesome abstract. This section explains the main purpose of the work. Students need to ensure readers easily get what the research aims and objectives are as well as the problems motivating the researcher to carry out the study. This section of the abstract should briefly talk about the research methods employed in the research. With one or two sentences, you should let your readers know the method data collection, research methodology, research instruments and techniques used in the study. The third section should indicate the main findings or results. Use one or two sentences to state the important results of the research. This last section is where you draw conclusions from the analysis of your results and findings. Based on these results and findings, you should also give your readers suitable recommendations and/or suggestions. 1. The abstract should be written in a block paragraph(no indention). 2. An abstract should not be evaluative. 3. Use an active voice when writing an abstract. 4. Use past tense when writing an abstract. 5. Should be between 100 - 250 words. Basically, when writing an abstract, you should ensure it is brief and engaging. This is important because it informs your readers(including your supervisor) whether to continue reading. 1. Lengthy Abstracts: A standard abstract should be between 100 - 250 words. 2. Use of Ambiguous Words: Use simple words so that your readers can understand. 3. Including References: You should only include references when it is unavoidable. Be careful not to include too many references (Not globally accepted). 5. Avoid writing abstracts when you have not completed your research. This study was carried out to investigate politics and gender inequality in Kaduna State using Kaduna North Local Government Area. To achieve this objective, three research questions and tow research hypotheses were formulated to guide this study. The data collected were analyzed using simple percentages and tables to analyze research questions and Chi-square statistical tool was used for testing of research hypotheses using Statistical Package for Social Sciences (SPSS) software. A structured questionnaire was used as the major instrument for data collection from the respondents in Kaduna North Local Government Area. After careful analysis of the data, the following findings were revealed that; women participation improves the politics of Kaduna State; there is a significant relationship between the nature of women participation in politics in Kaduna State. The study was concluded with some recommendations that women should be oriented about the need to participate in politics and government at all level should encourage Girl child education which can be made compulsory that all female of school age should go to school free of charge. This will give them equal opportunity with their male counterparts.